The scarlet ibis is featured on their coat of arms. 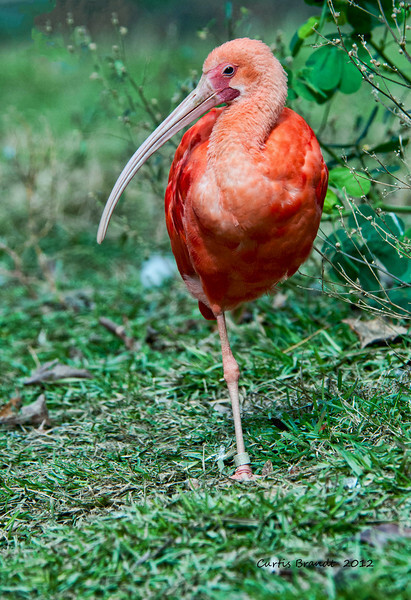 This bright pink colored ibis gets its coloration from the small crustations and other small marine animals that it consumes. Its long curved bill is very sensitive and is often used to deeply probe muddy substrates to locate their prey.